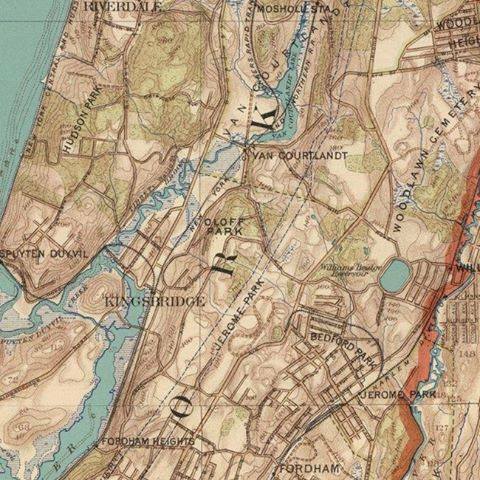 A historic map of the Kingsbridge neighborhood of the Bronx, showing the southern portion of Tibbetts Brook as it meanders from Van Cortlandt Lake to then Spuyten Duyvil Creek (now the Harlem River). Is there any human project that can give more hope to urban dwellers, our fellow species, and the planet itself, than restoring once free-flowing waterways forced long ago into dark sewers under impervious cement? Just such a project is taking place in the NW Bronx — Tibbetts Brook, once known as Mosholu, the Algonquin word for smooth stones — has been chosen for “daylighting” (meaning it will be brought to the surface), by the New York City Parks Department. Tibbetts Brook running free, north of Van Cortlandt Lake. Studies, meetings, discussions, and rudimentary plans have been put in place for this project but it is only in 2016 that the project is finally being brought to the local community for input. Daylighting Tibbetts Brook is an important part of the Van Cortlandt Park 2034 Master Plan. BCJN and its Green Vision Working Group will advocate for a restoration project that puts nature, people, public health, and quality of life first, and that is planned and carried out in collaboration with the local community. We will join grassroots efforts to restore Tibbetts Brook to as much of its former natural glory as possible, in ways that prioritize people’s and nature’s interests over those of developers. 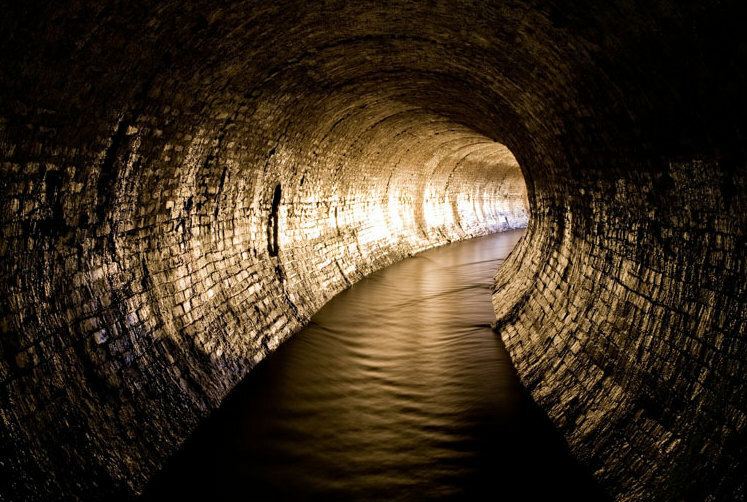 The southern end of Tibbetts Brook has flown through the NYC sewer for more than 150 years. In addition to the other myriad benefits of daylighting Tibbetts Brook, there is the critical issue of the brook’s impact on the Combined Sewer Overflow (CSO) problem in the N. Bronx. Channelling the brook into the sewer currently leads to an additional 4 to 5 MILLION gallons of water entering the sewer each day, and that’s on a day without precipitation. 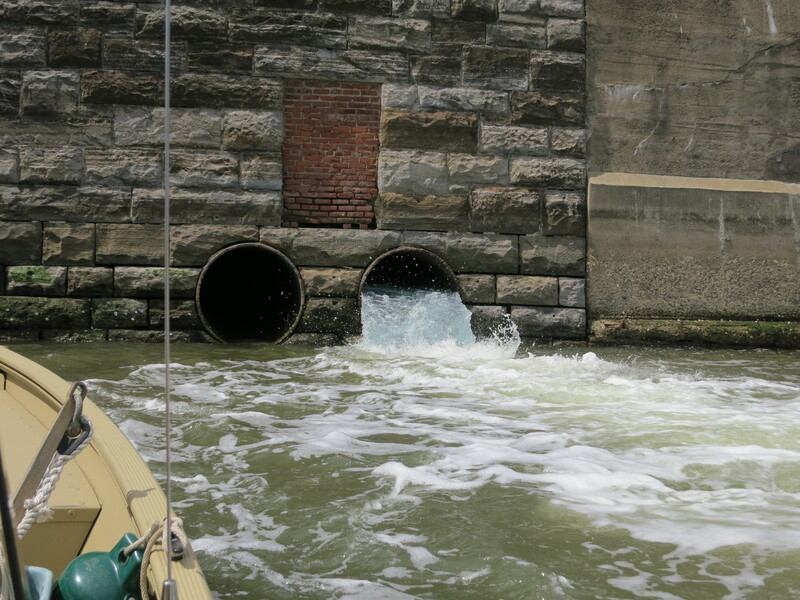 This once-clean water, having mixed with the contents of the sewer, is then treated at the Wards Island Stormwater Treatment Plant. When it rains or snows, sewage, street run-off, and the brook enter the combined sewer. Because the combined volume is too great to be handled by the system and the facility at Wards Island, it is simply channelled directly — including raw, untreated sewage — through huge culverts into the Harlem River. BCJN will work with NYC Parks, the Bronx Council for Environmental Quality, the Harlem River Working Group, Friends of Van Cortlandt Park, and many other organizations and individuals to study and plan for daylighting Tibbetts Brook both within Van Cortlandt Park, and between the southern edge of the park and the Harlem River. CSX, the rail freight carrier, owns no-longer-used land between Van Cortlandt South and W. 230th St. We will work to bring pressure on CSX to return that land to the city, and in the long-term, for the eventual daylighting of Tibbetts Brook all the way to the Harlem River. 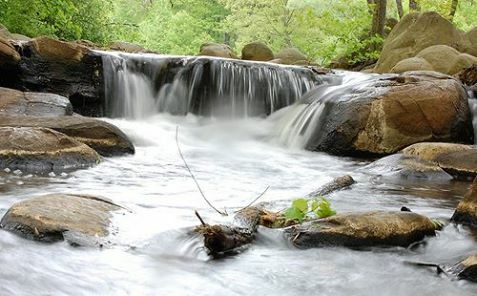 For detailed information about daylighting Tibbetts Brook, and other daylighting projects in the U.S. and around the world, please go to a public Facebook page created by BCJN: Daylighting Tibbetts Brook. 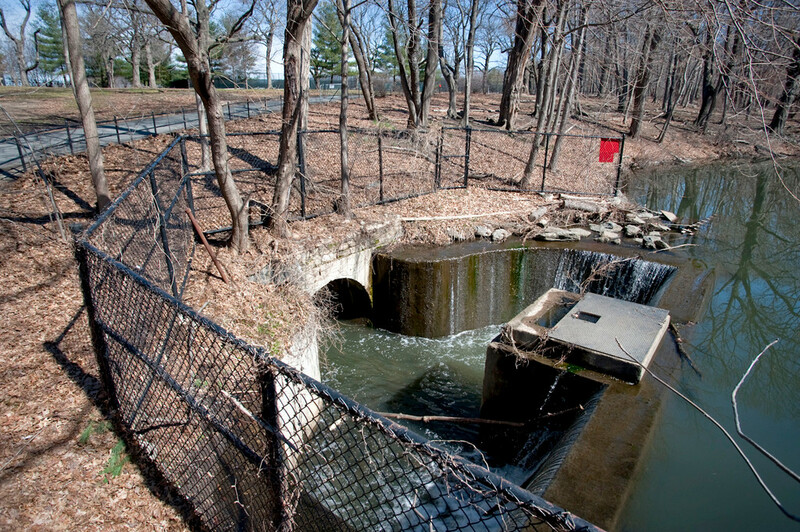 The New York Times covered the Tibbetts Brook daylighting project in a 2/16/16 story. The Riverdale Press published an article on 2/24/16. Community activists with Friends of Van Cortlandt Park and the Community Assn. 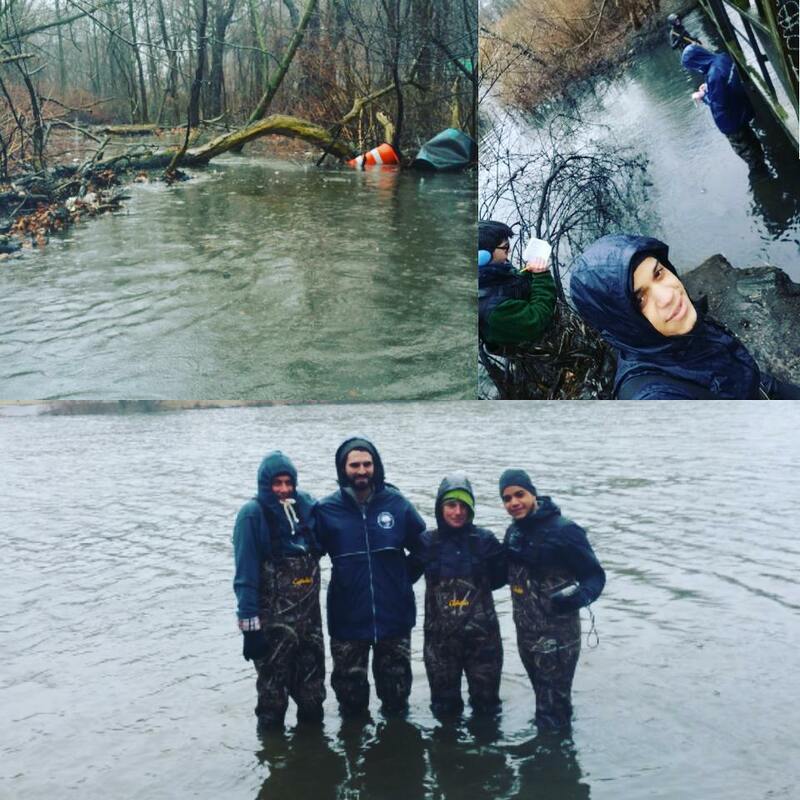 of Marble Hill, including BCJN and CAMH member Anthony Del Orbe, work to gather data about Tibbetts Brook and Van Cortlandt Lake in preparation for the future daylighting project, February 24, 2016.